Niyog-niyogan – Scientific name: Quisqualis indica L.
Large climbing shrub. Leaves are oblong and opposite, rounded at the base. Flowers tubular and fragrant, white to purpish orange, in clusters on the same stalk. Narrow 5-angled dried frui, resembling coconuts in taste. Fruits measuring 35-40 mm ; seeds shaped like the fruit-shell, measuring 12-15 mm. Grows widely in thickets. The seeds are easily propagated. Seeds (dried nuts) and leaves. Antihelminthic: Dried seeds preferable for deworming. Adults: Dried nuts-chew 8 to 10 small- to medium-sized dried nuts two hours after a meal, as a single dose, followed by a half glass of water. If fresh nuts are used, chew only 4-5 nuts. Hiccups occur more frequently with the use of fresh nuts. Children: 3-5 years old: 4-5 dried nuts; 6 – 8 years old: 5-6 dried nuts; 9-12 years old: 6-7 dried nuts. Caution: Adverse reactions – diarrhea, abdominal pain, distention and hiccups more likely if nuts are eaten in consecutive days or when fresh nuts are eaten. Roasted seeds for diarrhea and fever. Pounded leaves externally for skin diseases. Decoction of boiled leaves used for dysuria. 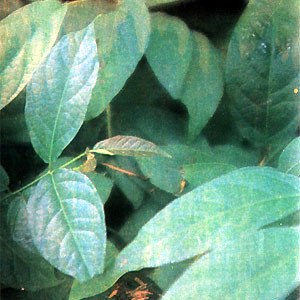 This entry was posted in List of Medicinal Plants in the Philippines and tagged Burma cruper, Chinese honeysuckle, niyog niyogan on March 22, 2009 by Pinoy Herbs. thanks a lot for these info btw! can you give me the steps on how to prepare this? Can I get these plants from the department of agriculture or which nurseries sells them.